It’s the farewell season of American Idol and as the show comes to an end, it’s only fitting that past winners make an appearance on the show. 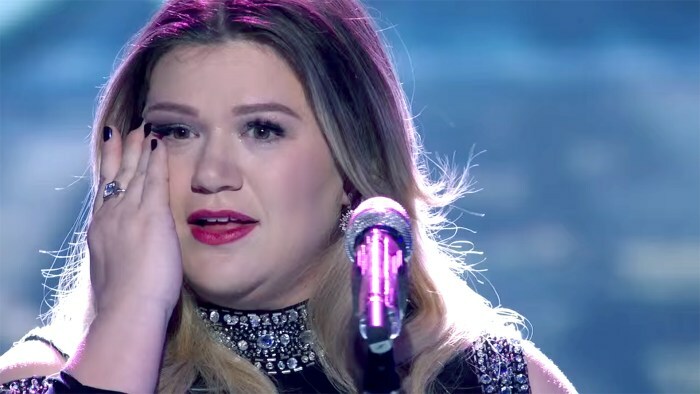 The show’s first winner, Kelly Clarkson, has become a huge star since winning the show and was invited back to perform on a results show. However, no one expected Kelly affect the audience and judges the way she did. Kelly sang her brand new single and title track of her seventh studio album, ‘Piece By Piece’, and the emotional song brought tears not only the crowd and the judges but to herself as well and battled performing the track from start to finish. ‘Piece By Piece’ is an emotional song Kelly wrote about fatherhood and abandonment. In the song, Kelly sings about finding love again. Her father left her at a young age and sings about the love her husband, Brandon Blackstock, has for her daughter River Rose and how it restored her faith in a father’s love. Hugely. El…. we need to spend some time together.